Sell Your House Fast In Scottsdale! We Buy Houses In Scottsdale and Throughout Arizona! Do You Need To Sell Your House Fast For Cash? We Can Help. We Buy Properties Anywhere In The Scottsdale Area. Check Out How Our Process Works. We’re Ready To Give You A Fair Offer For Your House. Need to sell your house fast? We are the local “We Buy Houses In Scottsdale Arizona” company. If you want to sell your Scottsdale (wiki link) home for any reason, we will make you a fair no-obligation all-cash offer. We even pay all closings costs. We purchase homes in Scottsdale and the surrounding areas. Do You Want To Sell Your House In Scottsdale? Are you one of the people asking, “Who will buy my house in Scottsdale, AZ?” You’ve come to the right place. Phoenix Home Buyers Group is Arizona’s premier real estate home buyer. We buy houses in Scottsdale, Mesa, Tempe, Gilbert, Chandler and the other East Valley communities. We are interested in purchasing your home for cash in as-is condition. We are interested in houses that are for sale by owner, going through foreclosure, or for any other reason. If you are in need to sell or are just curious how much your home is worth in Scottsdale or any other city in the Valley of the Sun, give us a call and we will provide you a no-obligation cash offer for your Arizona home in as little as 24 hours. Afterwards, once the contract is signed, we have the ability to close in as little as 3 days or on a time convenient to you. You will receive cash at closing from a 3rd party reputable title company. We have been helping Scottsdale, Arizona home owners sell their houses for cash since 2006. 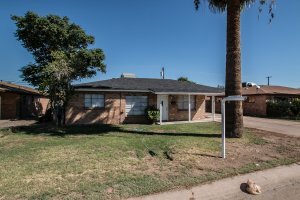 Our experience speaks for itself as we have bought, renovated and resold hundreds of houses throughout the east and west valley in the Phoenix area. We are the foreclosure and short sale experts in Arizona and would love to help you get out of any unwanted situations. Give us and speak to one of our Scottsdale real estate investors today and see what your home is worth. Our goal is to build a long lasting relationship with the Scottsdale community. We give you fair cash offer for your house and make it a win-win situation for everyone. We are not real estate agents trying to list your home. We are here to buy your house without any contingencies. That means that the offer we give you will not be contingent on us on obtaining financing or on any inspection reports. We do our own 10 minute visual inspection report when we view your house for the first time and pay with our own funds. We do not rely on outside sources of funding which means we can close on your Scottsdale house in as little as 3 days. The question of “who will buy my house in Scottsdale, AZ” has finally been answered. Give us a call and let us help you get out of your situation by buying your home for cash.